Adopt a monkey and protect primates worldwide. Deforestation and the bush meat trade threaten primate species worldwide, leading to forty three species now considered to be Critically Endangered. The primate pet trade is also a huge problem causing suffering and neglect, with about 5,000 privately owned primates in the UK alone. 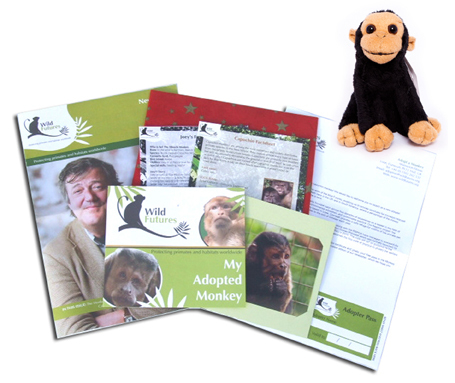 Help our charity, Wild Futures, protect primates in the UK and abroad by adopting a monkey today. By adopting a monkey today you will be helping to make a difference to primates worldwide.